It has been way too long since we have posted something! The last months have been so busy, but that is still no excuse. I’m just going to mention the two biggest events in the past few months in this post. First was our Homeschool Teen Fellowship Teen Retreat that we held back in March. Ron and Lydia worked so hard on the activities and Bible study and it was the best retreat yet! Our theme was “Survivor” and we used Hebrews 11, studying some of the people mentioned and how they survived “by faith”. The team building activities included building a shelter with some simple supplies, building a fire (and fire safety) with what was locally available and a review of first-aid in the wilderness. We had a wonderful group of homeschooled teens that attended. 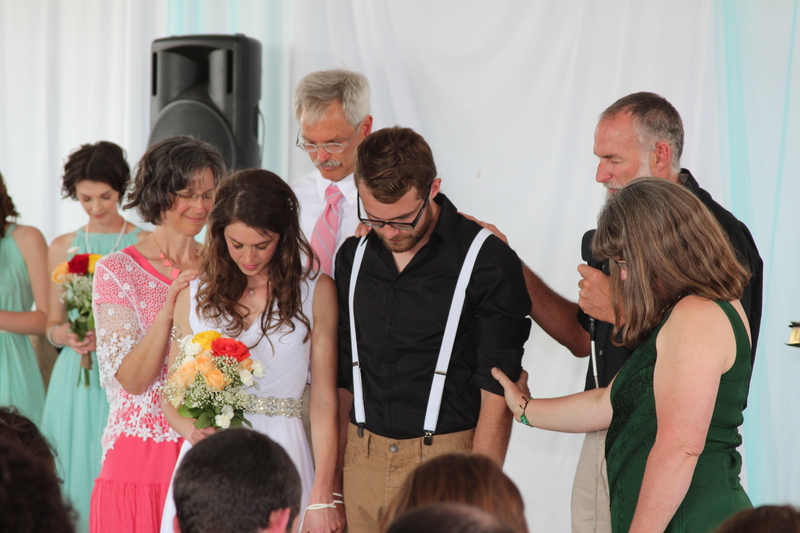 The next major event that took place was on May 16th and it was the wedding of our son Ethan to Leanne Ridgeway. It was a beautiful, simple, God honoring event that included friends and family. After a honeymoon in Mexico, they are continuing to work in Ritzville – Ethan as youth pastor at a small church and substitute teacher in the local schools and Leanne as full-time teacher aid. Pray for them as they desire to serve God and are investigating some opportunities to serve either in the United States or overseas. 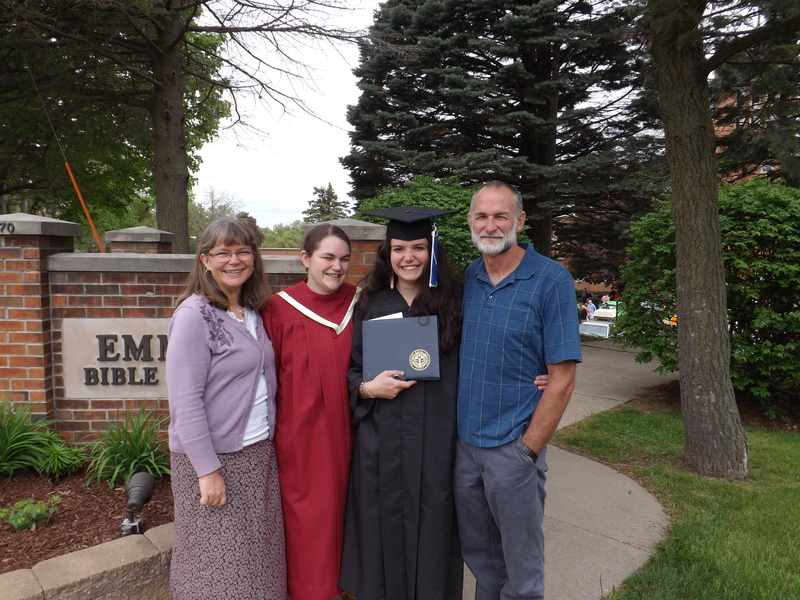 Some other highlights included getting to visit with Ron’s dad, Bub Borman, in Michigan and attending graduation at Emmaus Bible College in Iowa where we were blessed to hear our daughters Sarah and Julia sing in the ensemble and see Julia walk to receive her one-year Bible certificate. If you have been regularly reading our posts, you will be aware that we are in the United States until our return to Ecuador in early August. God has blessed us with some wonderful opportunities to share about the work in Ecuador, visit with friends old and new and spend time with family. 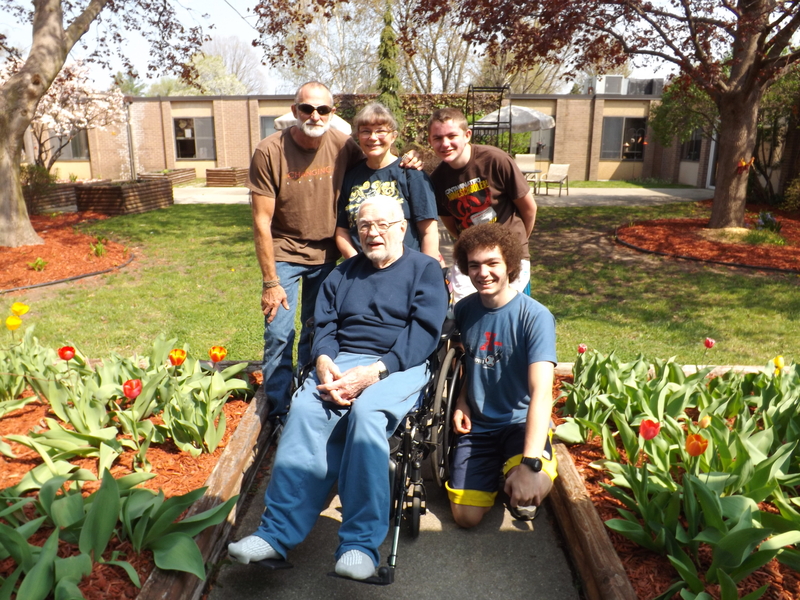 Esther is especially thankful that she was able to attend the highschool graduations of her nephew Matthew Boyer and niece Emily Boyer the end of May and will get to attend the wedding of her niece Kayla Boyer to Benji Taylor in June.